Going to Europe on your honeymoon? Why not combine pleasure with some serious pampering? Here is our list of the top ten European spas to include in your honeymoon (please share your favorites in the comments). If you want an experience like no other, then the otherworldly Blue Lagoon should be your first choice. Blue Lagoon is located 30 minutes from Reykjavik and it is a sight to behold – turquoise blue and nestled in a lava field. The water in the lagoon is recycled from Svartsengi, a nearby geothermal plant, and it is a unique combination of algae, minerals and silica. The water is in fact white, it is the silica and its light reflecting properties that put the blue in the Blue Lagoon. If you want to go all out, book a room at the Clinic Hotel. Located 10 minutes from the Blue Lagoon all guests get complimentary entrance to the Blue Lagoon spa as well as access to the private bathing lagoon. For true indulgence book an in-water massage. If your face needs some gentle care visit their mud mask bar. 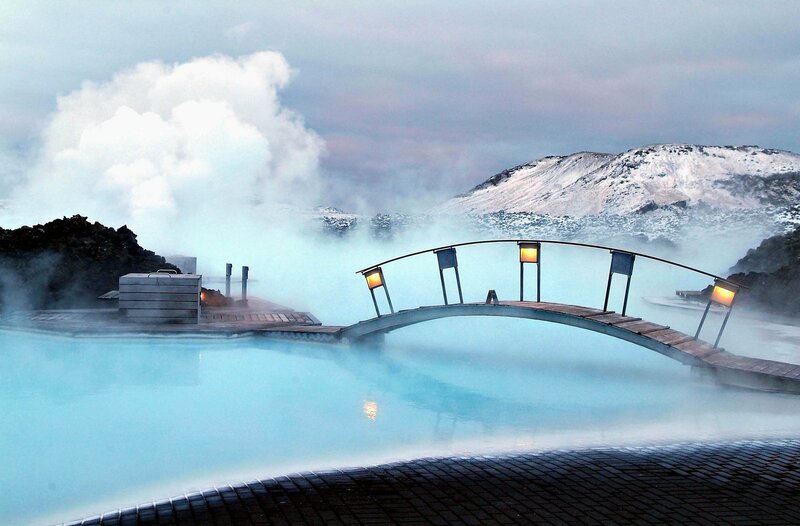 Spoil yourself with an in-water massage at the Blue Lagoon. Caudalie is a wine-inspired spa. We will let that sink in – a wine-inspired spa! 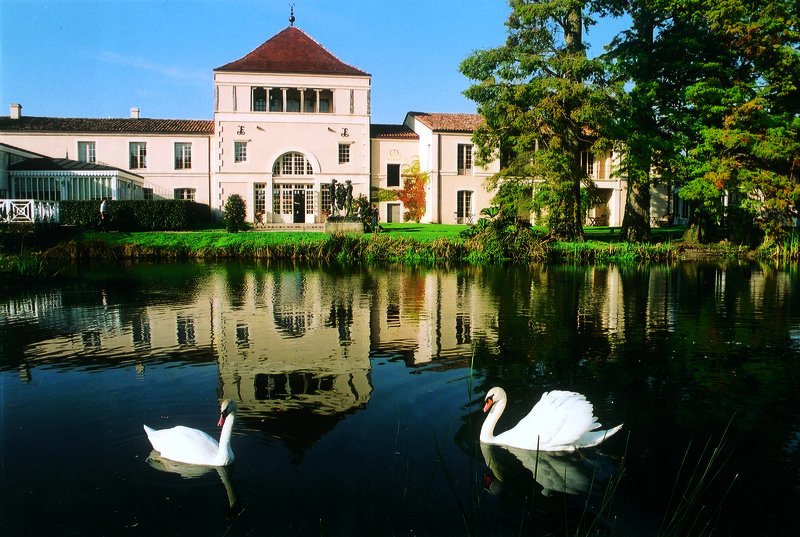 Les Sources de Caudalie is located some 20 kms from Bordeaux and nestled on the lake of Chateau Smith Haut Lafitte vineyards. The spa offers a unique combination of treatments that include both vinotherapy and the local hot spring waters. The founders of Caudalie pioneered the concept of vinotherapy (polyphenols that are found in grapes are used in skincare for their anti-aging properties). Facial treatments are based around Caudalie line of skincare products (and include everything from anti-aging to hydrating facials), while the body treatments… well. There is the Crushed Cabernet scrub. Or our favorite – the Merlot wrap. One of the treatments also includes, we kid you not, a red vine barrel bath! For the gents there is the sommelier ritual treatment. When you are not being slathered all over with grapes, go for a wine tasting tour, try your hand at a cookery course or take a dip in one of the pools. How can you resist a place that offers a Cabernet scrub? If you want a romantic holiday, it does not get any better than Positano on the Amalfi coast. 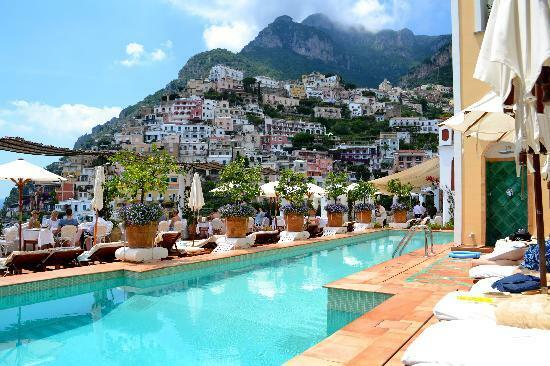 Overlooking the bay of Positano, Le Sirenuse was turned into a charming luxury hotel by the Sersale brothers in 1951. If you can tear yourself away from the view (almost impossible! ), pop to the spa to revitalize your body and your senses. All of the face and body treatments use Aveda skincare with an emphasis on natural products and techniques. Try a Tropical body treatment (it involves a salt scrub and a mango/coconut moisturizer massage), Rosemary mint body treatment to awaken your senses or the botanical skin resurfacing. If you want some privacy book Spa Suite for couples. The hotel with the prettiest view in the world. Located in the rolling countryside of Somerset and 90 minutes away from London, you will find Bath. A World Heritage site, it is known for its Roman ruins and baths. For a truly luxurious stay opt for the Royal Crescent Hotel (located at the world famous Royal Crescent). The hotel offers superb spa facilities that include a relaxation pool, ham-mam, sauna and steam rooms. Treatments on offer include anti-aging facials (all done with ESPA skincare), a variety of body massages (from deep tissue to reflexology) and pregnancy massages for mothers-to-be. Shop at one of the many boutique shops, take a stroll in one of the city parks or visit the Jane Austen center. When your feet start to hurt, pop into one of the many tea rooms for some afternoon refreshments. 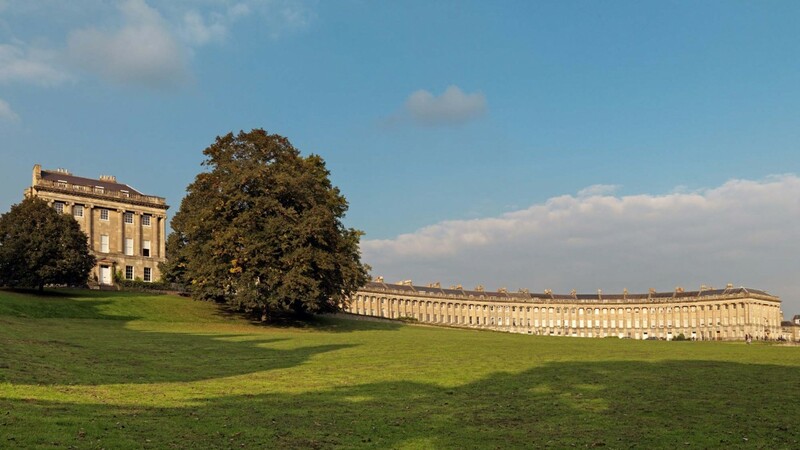 Explore a historic city and indulge your senses in Bath. Karlovy Vary is home to 13 main hot springs and 300 smaller springs. For centuries people went there for the drinking cure. The drinking cure refers to the thermal waters that guests drank during their stay. A physician will prescribe which spring’s water you are supposed to drink based on your medical condition. The drinking cure should detoxify the body and have a positive effect on both your digestion and your overall health. We will not lie to you – taking the cure can sometimes be grim (the smell! THE SMELL!). So why not spoil yourself with some Old World luxury? 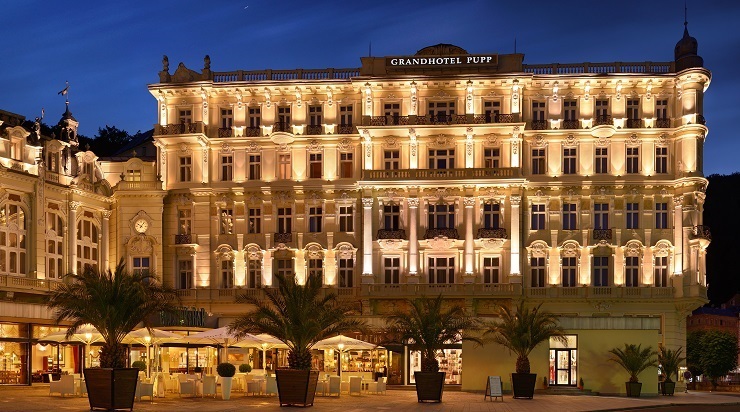 Grand hotel Pupp was founded in 1701 and it still retains its charm without skimping on any of the amenities. Their spa is top notch and offers all manner of treatments such as oxygen therapy, inhalations (for people with respiratory problems), carbon dioxide baths and colon cleansing. If you wanted to try a laser treatment, you can do so at the Esthé Laser Clinic. Karlovy Vary can easily be explored on foot and if you want a more active holiday play a round of golf at one of the nearby golf courses, rent a bike or try Nordic walking. 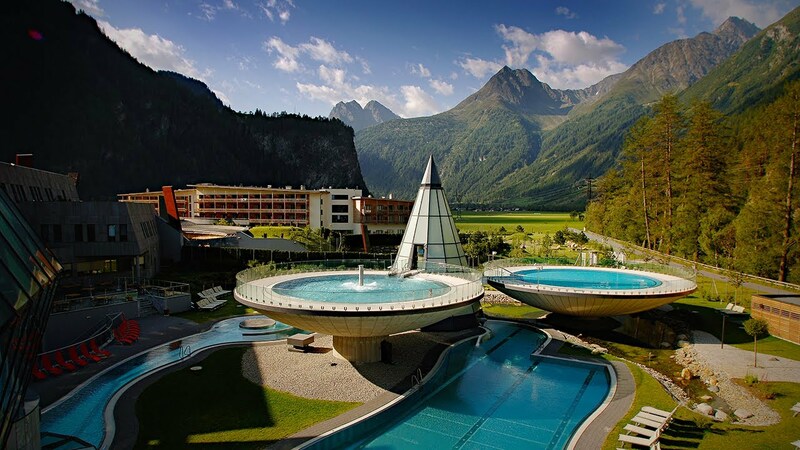 Aqua Dome in Austria is being lauded as the best thermal spa resort in the Alps. It is located 2.5 hours away from Münich and smack in the middle of Ötztal Valley. The main lure? World class spa and unprecedented views of the Alps. The thermal spa area covers 22.000 m2 with 15 pools and 7 (!!!) different saunas to choose from. The beauty spa offers all manner of treatments – from the Tyrolean honey and ginger oil body massage to anti-aging facials. Spa 3000 is exclusive to the hotel guests – sit in the sauna and enjoy the view of the Alps, lounge by the mossy rock pool (a good option after a sauna session) or take a dip in the Ötztal thermal springs. Want privacy? No problem. Book a private SPA area where you can rest and relax in peace. Bliss-ed out stay in the Alps. Spain is not all about the city breaks or beach holidays. At SHA Wellness Clinic in Alicante wellness is a serious business. Close to the beach of Albir and Sierra Helada Natural Park the clinic and its surrounding area has such micro-climate that the weather here has been declared as the best in the world (by the World Health Organization in case you are wondering). The number of programs available at SHA Wellness Clinic is staggering – get help to detox, combat stress, stop smoking or lose some weight. Aesthetic treatments include rejuvenation for almost every area of the body – hands, legs, bottom, stomach or face. Rejuvenate your body at the place with the best weather in the world. 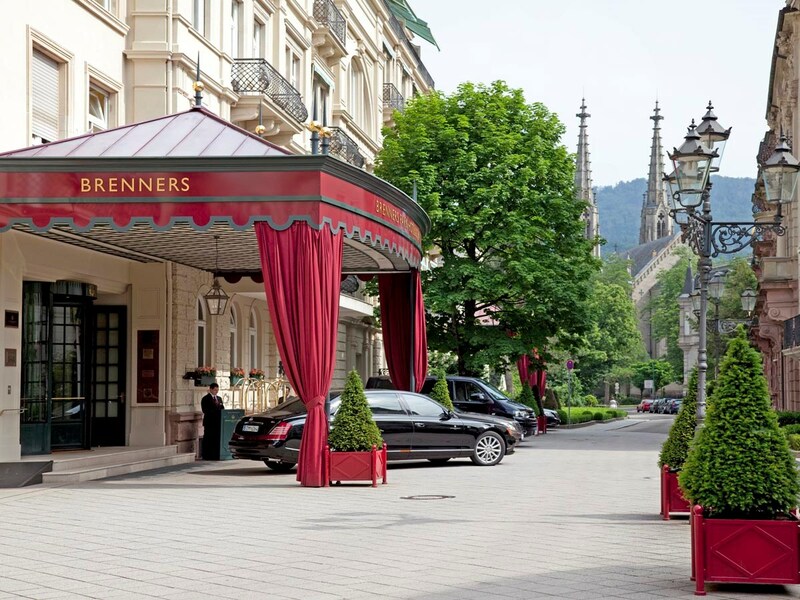 Brenner’s Park Hotel & Spa has been welcoming guests since 1872. Prepare yourself for world class luxury in the lush and leafy surroundings of a private park on the Lichtentaler Allee. Take a dip in the pool, let some steam off in the sauna or try their signature ham-mam treatment (it fuses massage techniques with the traditional cleansing). Take a lesson in kickboxing or try a shiatsu massage. If you find yourself craving some shopping or just popping somewhere for a coffee, Baden-Baden can be easily explored on foot (that is if a Michelin starred restaurant on the premises is not enough). World class luxury in the Black Forest. You want to visit a crazy romantic destination for your honeymoon? But you still want to see some sights? And dine in great restaurants? Budapest (also known as The Queen of Danube) will have you spoiled for choice. With over 120 hot springs scattered all over the city, the spa culture is the norm in Budapest. 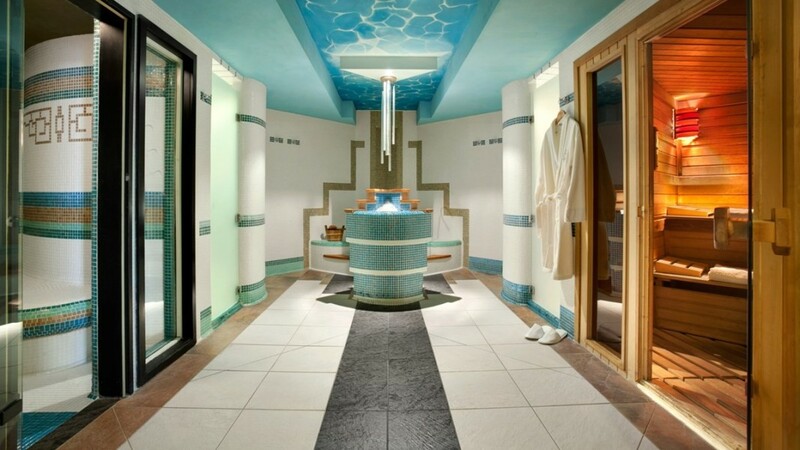 If you are in a need of a serious pampering session Kempinski Hotel Corvinus should be your first port of call. Pick between their seasonal body massages or face treatments. Or try their signature full body Hungary mud treatment. Couples treatments are available. Also? The hotel is a favorite with the visiting celebrities (cough Brad Pitt cough). The Queen of Danube will spoil you rotten. Rejuvenation means different things to different people. At Clinique La Prairie rejuvenation is a serious business. Shortly put – Clinique La Prairie is a spa on steroids. 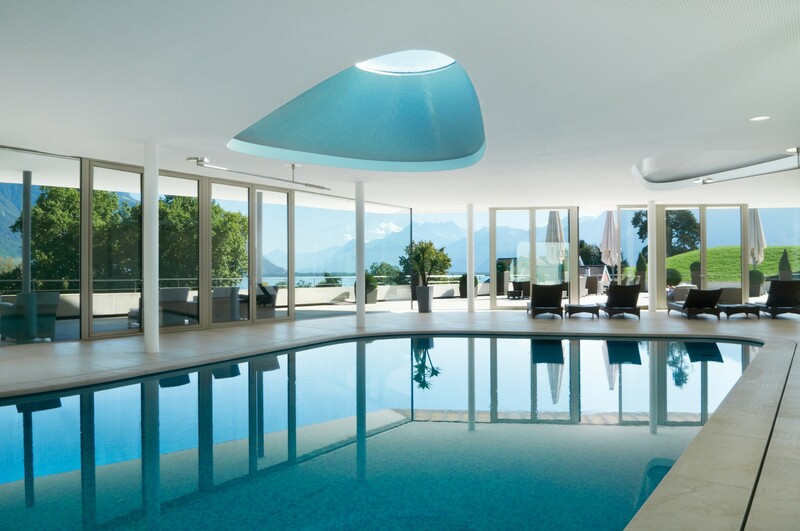 Located on the shore of the Lake Leman and an hour away from Geneva, Clinique La Prairie offers specialized spa treatments for just about anything – from Icoone body treatments to oxygen facials, from reflexology to acupuncture. But what lures repeat guests is the fabled Rejuvenation treatment. The base of the treatment is the CLP Extract which is derived from the cells of lamb fetuses. The cells are processed in the lab and taken orally for a period of 6 days (preferable to how the treatment was done in the past – with injections). The end result should be a boosted immune system and a revitalized body (the results should last up to 2 years). It is rumored Mick Jagger is a fan (which explains A LOT). Go all out and try the fabled Rejuvenation treatment.